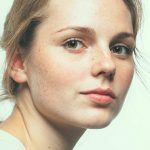 We all are familiar with the situation where a huge pimple religiously pops up on our face when we can least afford to have it. Even if, by some miracle it heals in a few days, it leaves a nasty scar which takes days, if not months to heal. Although there’s nothing that can make it go in a jiffy, you can surely try some simple home remedies for dark spots on skin to accelerate healing. 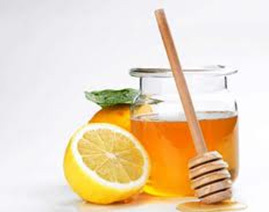 The most effective spot removing technique is to mix a teaspoon of honey with 4-5 drops of lemon juice. You can also add a few strands of saffron to it. Apply it to the affected areas and wash off after 20 minutes. Lemon and honey work as natural bleaching agents. Honey also adds moisture. Over time it will be like that black spot on skin never even happened to you! Mix 2 teaspoons of tomato juice with 4 teaspoons of buttermilk and apply it on the dark spots on skin. The lycopene in tomatoes is a strong lightening agent that in over time reduces the intensity of the spot and then removes it entirely. A paste of sandalwood powder and rose water not only lightens spots but also cleanses and refreshes oily skin. This pack is a boon if you have oily skin that is prone to pimples! 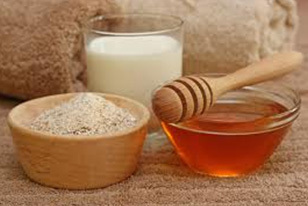 Mix 3 tablespoons of oatmeal, 1 tablespoon of honey and 2 tablespoons of milk and use it as a face mask. The oatmeal is a natural exfoliating agent that will remove the dead skin cells, honey will keep your skin supple while milk will add a glorious glow to your skin! 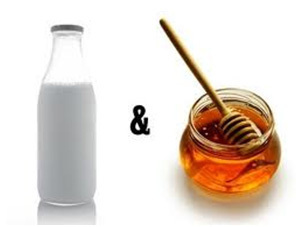 Sour milk, cream and honey mixed together works very well on dark spots on skin as the lactic acid hastens the healing process. 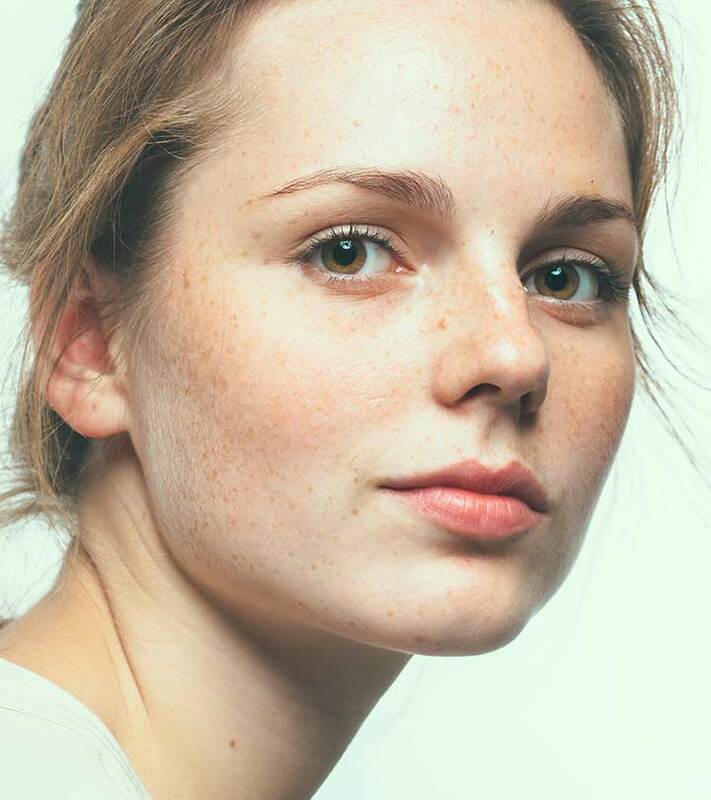 Lactic acid is also well known to lighten marks left behind by pimple and the moisture content along with the anti-bacterial properties in honey will improve the skin condition over all. Olive oil, apart from adding flavor to salads, also heals spots. Apply on the affected areas at bedtime and wash off the next day. 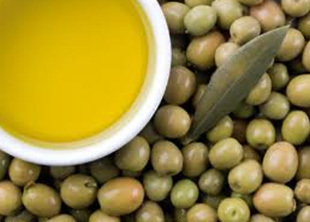 Olive oil adds moisture and but when massaged into the skin and left on for 15 to 20 minutes, it is easier to scrub the skin and remove dead cells. 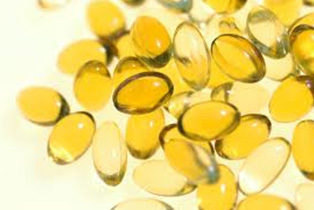 Vitamin E oil is effective as an all night spot reducing treatment. Vitamin E along with being a moisturizer also has an anti-oxidant effect that curbs the free radical action on the skin that results in aging and dark spots. 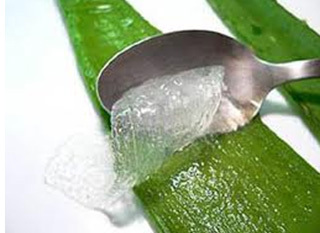 Nature’s very own aloe vera pulp works wonders on the skin. 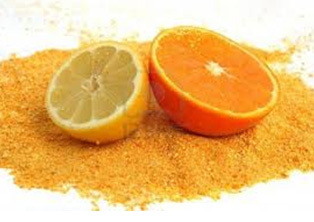 Mix dried orange and lemon peel powder with rose water and apply the paste on the black spot on skin. The citric acid in it will work its magic on your skin! Grate a cucumber and squeeze out its juice and add it to curd for natural bleach. These ingredients will not make your spots miraculously disappear in a day. However regular application will not only heal the spots faster, but also improve the overall texture of your skin. Do leave us a comment if you know of any other effective solutions for black spots on skin!